Kawai had accepted the interview from Russian web site of "ONGAKUEN"
Compose music for Hong Kong movie "Ip Man"
"GHOST IN THE SHELL/2.0 ORIGINAL SOUNDTRACK" with a Bonus track "GHOST IN THE SHELL's promotional music". This track was a promotional music of the first showing at theaters on 2.0 Ver. It was a movie trailer only for theaters which also pack in Mamoru Oshii's LDBOX "THE SEVEN DOG'S WAR" (1996, Bandai Visual) 's pack CD "THE DOG'S EAR". The first Limited Edition "Deluxe BOX"
2) GHOST IN THE SHELL/2.0 with the image of 2.0 / in which the original music trailer was mentioned a Blu-ray disc. Musical piece: "Utai III" -Reincarnation 2.0 Ver. 3) The track sheet at the time of original board work was mentioned Booklet of the multi sheet which the original. 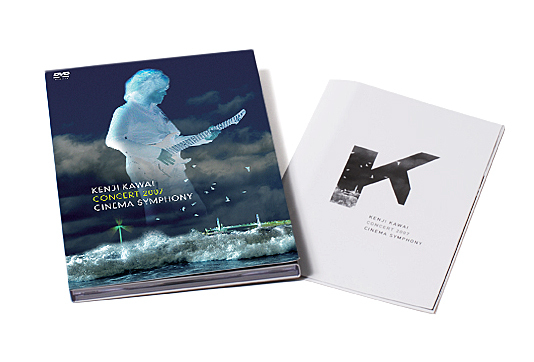 4) Kenji Kawai interview Booklet. 5) BOX which stores the above mentioned items. Regular quality CD includes same titles as the First Limited Edition. The lyric sheet includes Kenji Kawai's interview. Compose music for "ASSULT GIRL 2" of the omnibus movie "-KILL-"
Movie released on 6 December 2008 at CINE QUINT and the other. DVD Release "HIGURASHI NO NAKUKORONI The movie"
Compose music for a Japanese live action movie "Sakura no Sono"
Compose music for TV drama "Nanase Futatabi"
Compose music for NHK Drama 8 "Nanase Futatabi"
Original : Yasutaka Tsutsui "Nanase Futatabi"
Compose music for a TV animation "Mobile Suit Gundam 00 Second Season"
Broadcasting starts in Sunday October 2008 at 5pm on MBS and TBS networks. 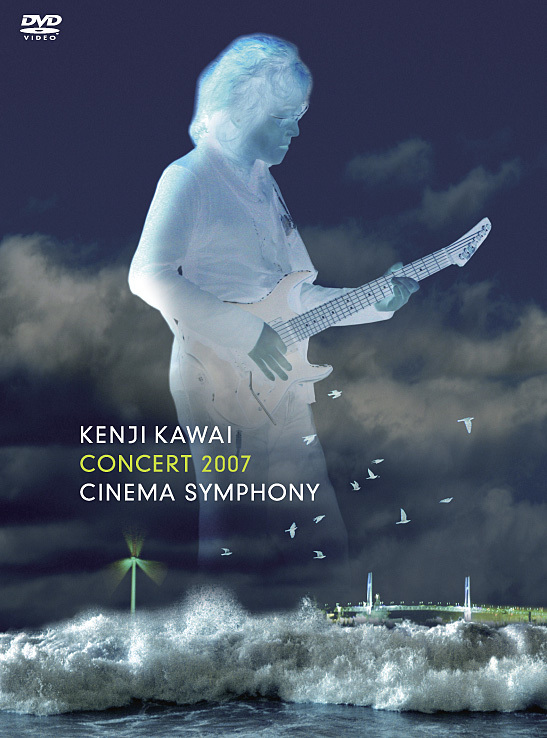 Kawai was awarded with the Best Soundtrack award "The Sky Crawlers" at the 41st SITGES International Film Festival of Catalonia (Sitges 08), held in Sitges, Spain from October 2 to 12, 2008. 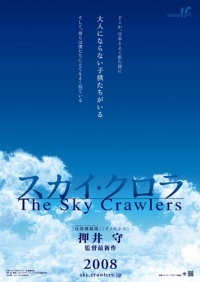 "The Sky Crawlers" was also awarded with the Jose Luis Guarner Critic Award and the Young Jury Award for the Best Motion Picture in the Fantastic Selection. 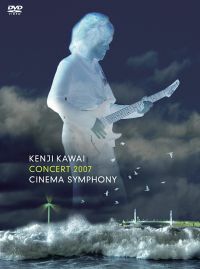 Kawai composed music for a Japanese live action movie "Orochi"
"The Sky Crawlers" release memorial program "The world of music"
It broadcasts from performance August 11, 2008 to "The Sky Crawlers" public presentation commemoration special program "musical world." Broadcast on SKY PerfecTV! 267ch DAIICHIKOSYO "STAR karaoke"
Compose music for a Japanese animation movie "The Sky Crawlers"
"The Sky Crawlers" release memorial program "Project Sky Crawlers"
Compose music for TV Documentary program of NHK Special "Fu-Tou Toshi (Boiling Cities)"
The program starts on May 18th 2008. Broadcast from 2008 May at NHK multidiscipline channel, total 8times. The 1st time; "Dubai Huge money which gushed to the desert"
The 2nd time; "London Recapture the capital in the world"
The 3rd time; "Dhaka Hope of micro credit (Temporary title)"
The 4th time; "Istanbul The crossroads of the shaking east and west (Temporary title)"
The 5th time; "Johannesburg - Battle of the Black diamonds"
The 6th time; "Sao Paulo - Millionaires fly the sky"
The 7th times; "Singapore - The challenge to the world of a brain (Temporary title)"
The 8th time; "Tokyo Version up (Temporary title)"
Compose music for Japanese live action movie "HIGURASHI NO NAKUKORONI"
Compose music for TV drama " Shin Kasoukenn no Onna '08 "
Compose music for TV Drama "Kasoukenn no Onna08"
DVD release "Kenji Kawai Concert2007 Cinema Symphony"
Compose music for the MMORPG "SANGOKUSHI ONLINE"
Compose music for Japanese live action movie "L change the WorLd"